ToddlerTime is a Storytime especially for 2 year old children. As this is often the first Storytime for children, we ask that caregivers accompany the child. We will be sharing stories, rhymes, games and songs. ToddlerTime is held on Monday’s at 10:00 a.m. in March and October. Preschool Storytime is geared for children age 3 – 5, with stories, songs, fingerplays and crafts. It is held from September through April on Tuesday at 10:30 a.m. and 1:30 p.m. and Wednesday at 1:30 a.m. No registration is required. The same theme is shared for all Storytimes and the stories are repeated. Special Craft Activities are held before major holidays for preschool and school age children. Registration and a small fee are required. To provide the best experience for all children at any of our Storytimes, please try again at another time if a child of any age is unable to participate appropriately. We feel that children garner valuable experience at Storytime when they are ready for them. Please be considerate of the storyteller and the audience when deciding whether or not to remain at Storytime when your child is having difficulty. Our staff can assist you in your decision about your child’s readiness to participate in our Storytime programs. 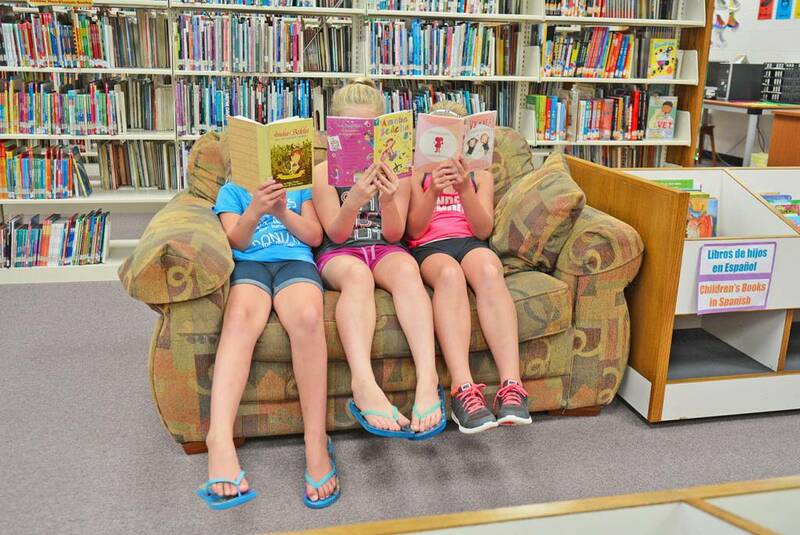 Summer Library Program provides a funfilled summer of reading enjoyment for all children 3 years old through eighth grade. This 8 week special event starts the first week in June and ends the latter part of July. Earn prizes for reading, take part in contest and games, and much, much more! Our Summer Library Program is designed to keep children and books together during the summer. Reading research has shown that reading or listening to a book as little as 20 minutes a day can help children become successful students and adults. Reading over the summer can also maintain, and in many cases, increase levels of reading growth experienced over the school year. The Summer Library program is a great opportunity to foster a love of books and family reading time.